Listed in Chatham County Death Index, book 3, p769. 8) Mary Beal, age 5, born NC. 6) Oren Tally, age 9, born NC. 6. Military Service: Confederate Soldier, 8 Mar 1862. 3587,3600 Private in Company E, 41st Regiment NC Troops (3rd Regiment NC Cavalry). 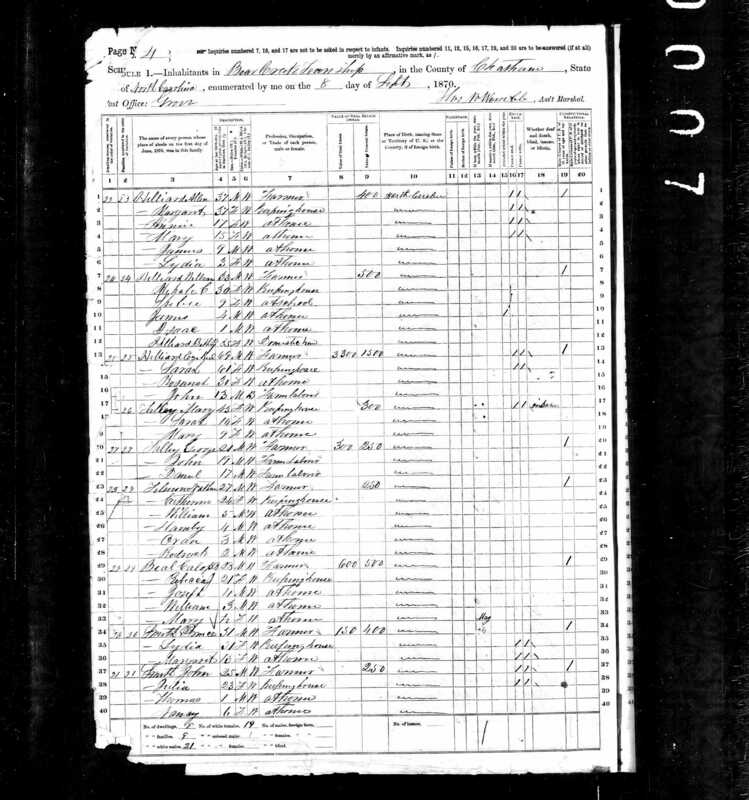 Enlisted in Chatham County March 8 1862 for the war. Paroled near Kinston, NC, 14 Dec 1862. Present or accounted for through Oct 1864. Company E was originally an independent cavalry unit known as "Macon Mounted Guard", organized in 1861 for service on the coast of NC. They were located at Camp Gaston, near New Bern. They took part in the Battle of New Bern on 14 Mar 1862, then retreated to Kinston. On 3 Sep 1862 the unit became Co E of 41st Regiment when that Regiment was formed. In Feb 1863 they moved to the Blackwater River line in SE Virginia. They took part in Longstreet's Suffolk campaign, mainly on picket and outpost duty, and saw no heavy action. 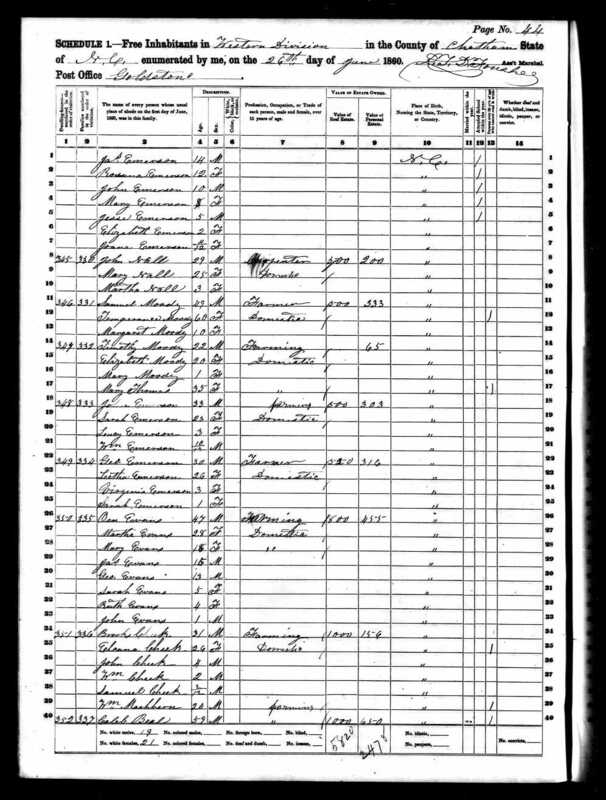 In Oct 1863 they moved below Greenville, NC, stayed through Feb 1864, then went back to Kinston in March. On May 13, they arrived in Petersburg and took part in Beauregard's move to bottle up General Butler at Bermuda Hundred. They later became part of "Barringer's Brigade", going to Richmond, Petersburg, and had winter quarters near Belfield. On 29 March 1865 they began a series of battles with Sheridan's troops, including success at Dinwiddie Court House and defeat at Five Forks and Namozine Church, where the brigade was virtually destroyed. The remnants joined the retreating Army of Northern Virginia and was surrendered at Appomattox on 9 Apr 1865. 5) Beal, Mary, age 1/12, at home, born NC. 9. Appearance in Document, 29 Aug 1872. 3099 C. R. Beal was administrator of his father Caleb's estate. 10. 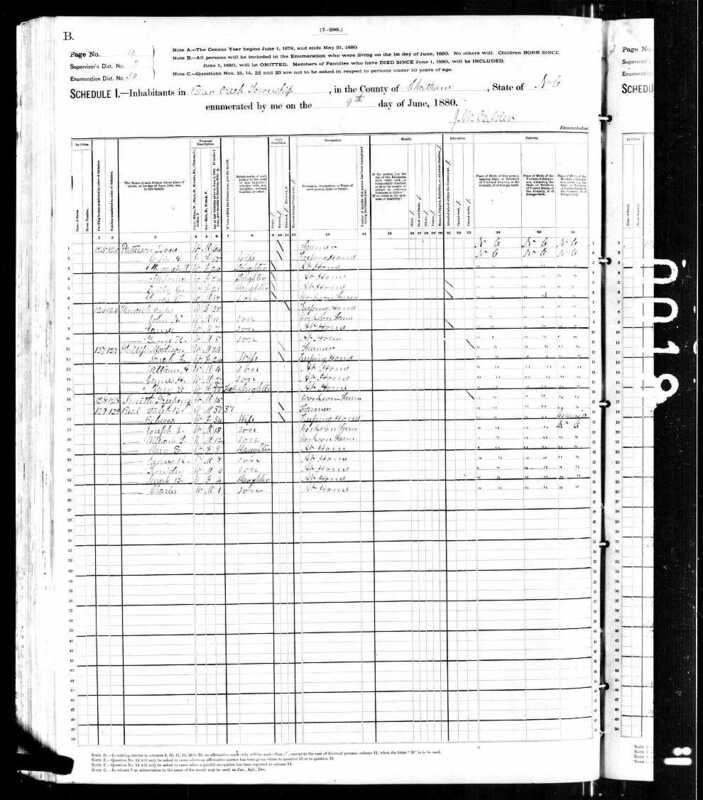 Appearance in Document: Court Records, 12 Oct 1872, Chatham County, North Carolina, United States. 3099 Finetta Beal sued in Chatham County Superior Court to get her widow's dower of 1/3 of the estate of her husband Caleb Beal. She sued Caleb's hiers, listed as James Beal, Patsy Blalock, Ann Fields, Thomas Beal, C. R. Beal, Mary Cheek, the children Ruth E. Beal, Mary Beal, and Ann Beal grandchildren of Caleb Beal deceased. 9) Beal, Charles, age 1, son, at home, born NC, parents born NC. 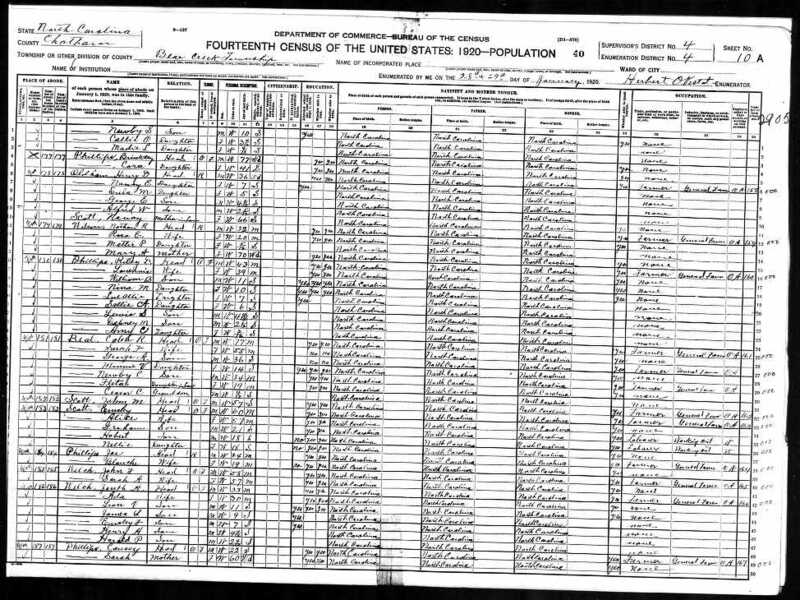 11) Beal, Addie, daughter, born Mar 1898, age 2, born NC, parents born NC. 7) Beal, Minnie, daughter, age 4, born NC, parents born NC. 25. Will, 20 May 1915, Chatham County, North Carolina, United States. Will of C R Beal is found in Chatham Co Wills, Book H, p518. It includes "I, C R Beal, of Bear Creek Township..." leaves 1. "to my wife Sarah Frances Beal, all the real estate and personal property that shall belong to me at my death not otherwise disposed of in later clauses..." 2. Upon her death, divide equally among my children except daughter Mary, wife of Wiley E Brewer. 3. To daughter Mary, $1. 4. To daughter Sallie, wife of Walter H Brady, $25. 5. To daughter Oppie, wife of John M Councilman, $25. 6. Appoints sons Charles B and Samuel Beal executors. Dated 20 May 1915, proved 1 Dec 1924. 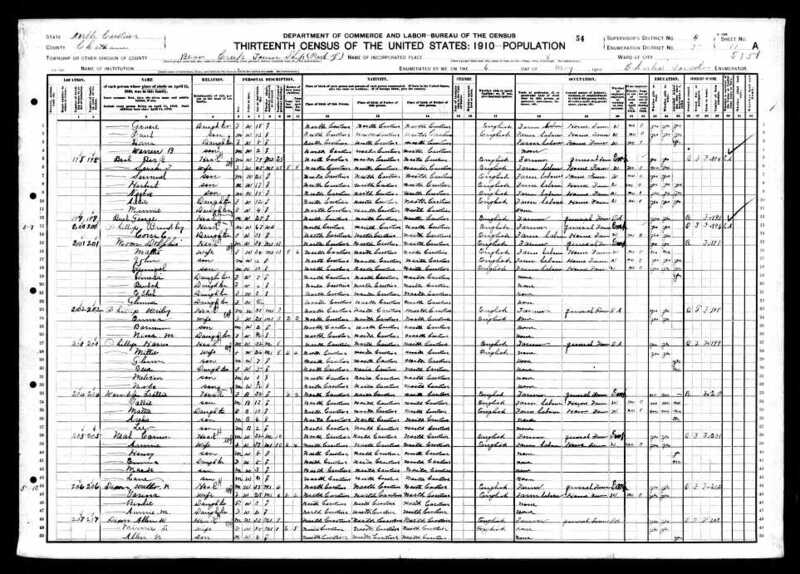 7) Beal, Ceasar C., grandson, age 11/12, born NC, parents born NC. 28. 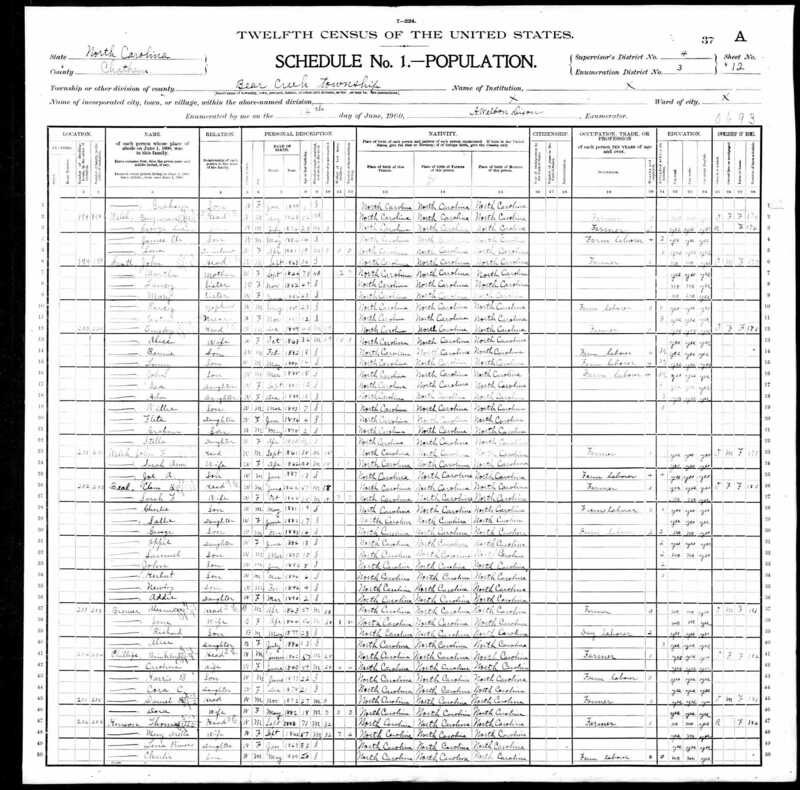 Probate, 1 Dec 1924, Chatham County, North Carolina, United States. Will of C. R. Beal is found in Chatham Co. Wills, Book H, p518. Dated 20 May 1915, proved 1 Dec 1924. 29. Story, 9 Jul 2002. (email received fry Cyndee Hardy (cthardy@co.moore.nc.us) on 7/9/2002) I'm a descendant of Caleb R. Beal of Chatham County. His son Tom (William J/T) was my gr-gr grandpa. Me and my mother visited the Caleb R. Beal homeplace a couple of weeks ago. The house is still occupied by a Margaret Beal Brady. 30. Story, 15 Jul 2002. (email received from Cyndee Hardy (cthardy@co.moore.nc.us) on 7/15/2002) Me and my mom went to visit Margaret Beal Brady (who still lives in Caleb R's house) about a month ago. I'm sure you have been to some of the Beal reunions at her house. She gave me that sheet that tells all of Caleb R's children from both wives. We went and visited Caleb R's grave, Tom's grave and my great-grandpa Joe John (Tom's son). 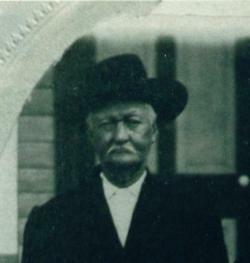 Caleb R. is my great-great-great grandpa. Me and mama took a picture of that plaque Margaret Beal Brady had of Caleb and Sarah. It didn't turn out too good though. [I asked her about this plaque] I have just started trying to find out about my Beal ancestors since my grandfather, Garland Forrest Beal died this past February. I could just kick myself for not talking and asking him about all this stuff before he died. It just seems like you really get curious after it is too late. No, I have been trying to find out something about Rebecca Jane. I don't really know who I can ask. Maybe nobody knows. Margaret said she died young. She said that Rebecca Jane and Sarah Frances' mothers were sisters or something like that. I really didn't understand her. Do you know how they were related? [I replied and told her no] I would appreciate any information you could send. I live in Carthage, NC. It's not very far from the old Beal homeplace. 31. Story, 30 Jul 2002. [on 7/30/2002 she added] The lady that lives in Caleb R.'s house has a portrait of Caleb R. and Sarah. It is very good. Her son had a plaque made with a confederate flag and information on his duties while in the Civil War. I took pictures of it with a camera. If you would like, I can send you a copy in the mail if you give me your address. 32. Residence. 3601 I have several slides of the Beal home, taken in 1991. "The Architectural Heritage of Chatham County" has picture of Beal Farm site, in Chatham County near Moore County line. It is an 1880 2-story farm house. 33. Occupation: Farmer, Confederate Soldier. 1. 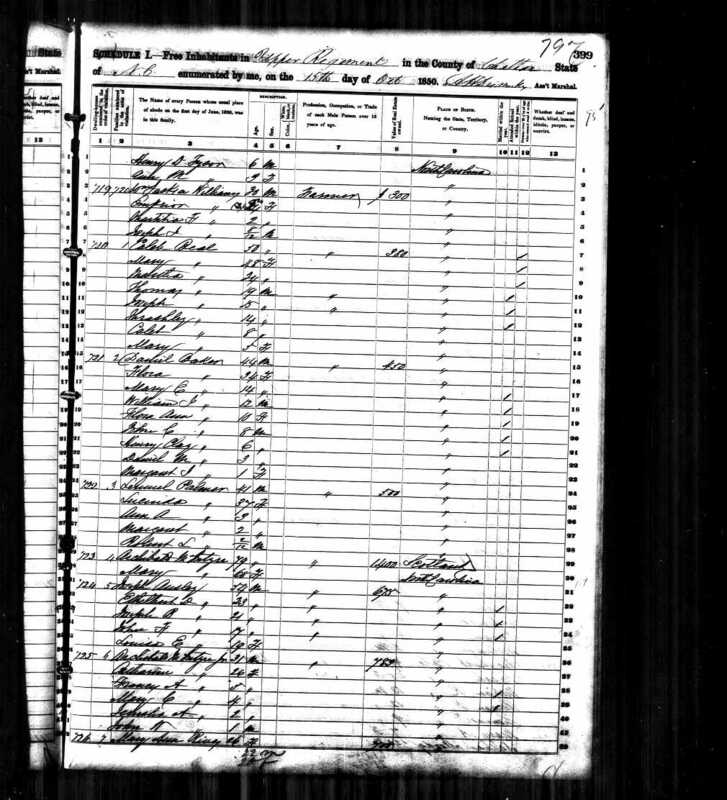 Marriage, 23 Jan 1882, Bear Creek, Chatham County, North Carolina, United States. 3585 C. R. Beal married Sarah F. Smith.